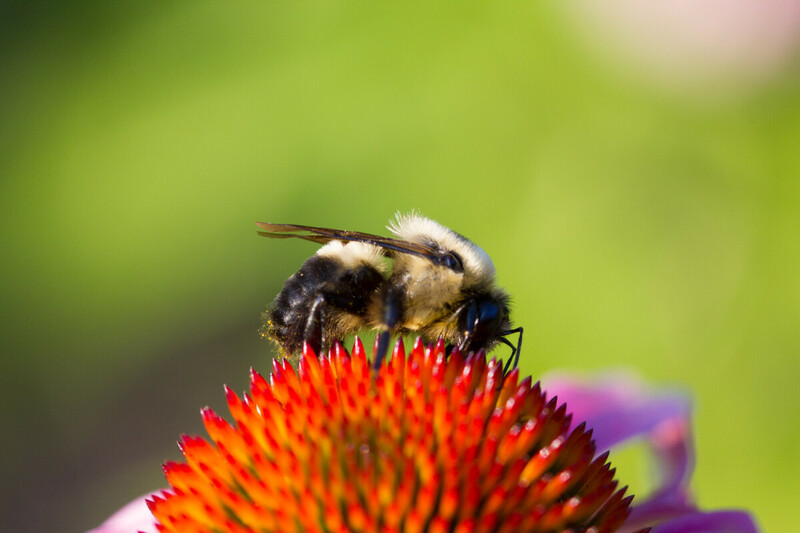 A macro shot of a bumblebee pollinating a flower. Shot with a Canon 100mm macro lens at f2.8, iso 800. No adjustments in post, strait out of the camera.